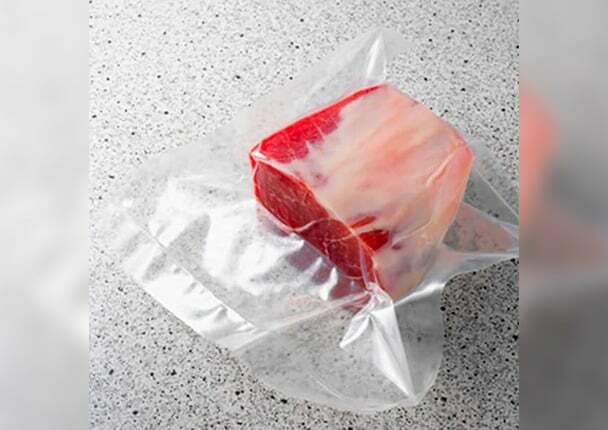 Vacuum packaging increases storage life of food products by a factor 3 to 5. For that purpose the package is first evacuated and then hermetically sealed. The correct functioning of the packing machine must be checked regularly. Only when there is sufficient vacuum inside the packing, quality, freshness, nutrients and taste of the product are fully maintained. A battery operated VD81 is put into the packing machine in defined time intervals and vacuum-sealed instead of the product. During the packaging process the instrument stores the achieved minimum pressure. After the vacuum meter is taken out of the packing this minimum pressure can be displayed and checked.